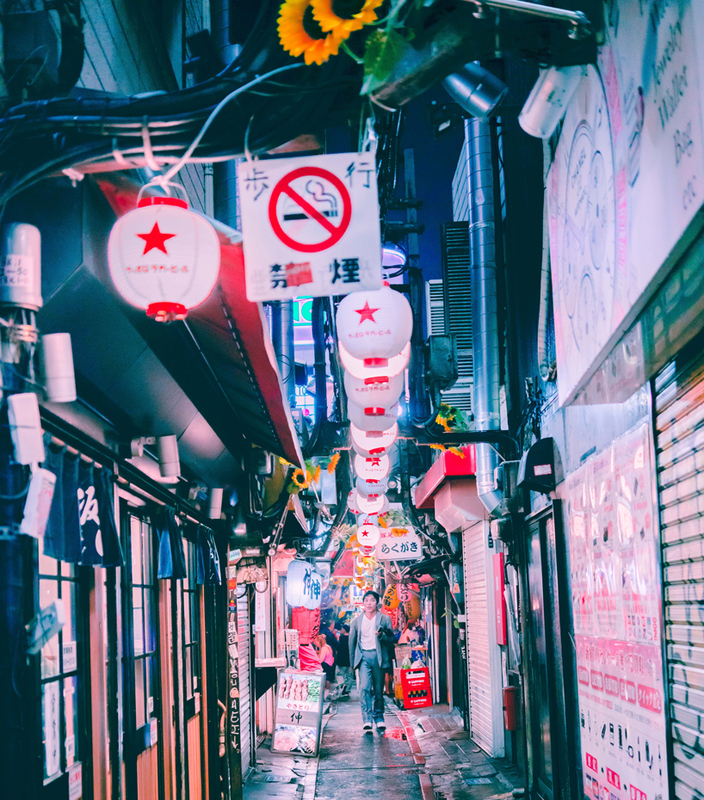 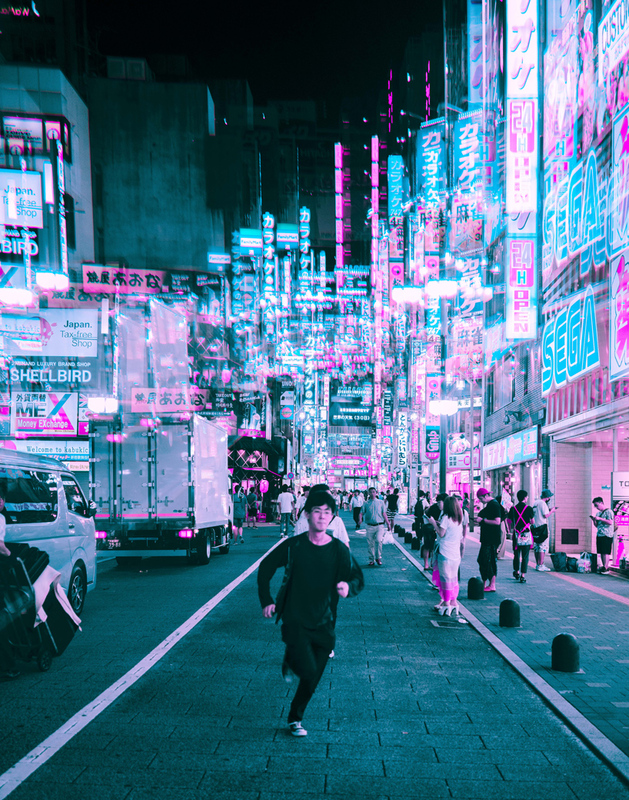 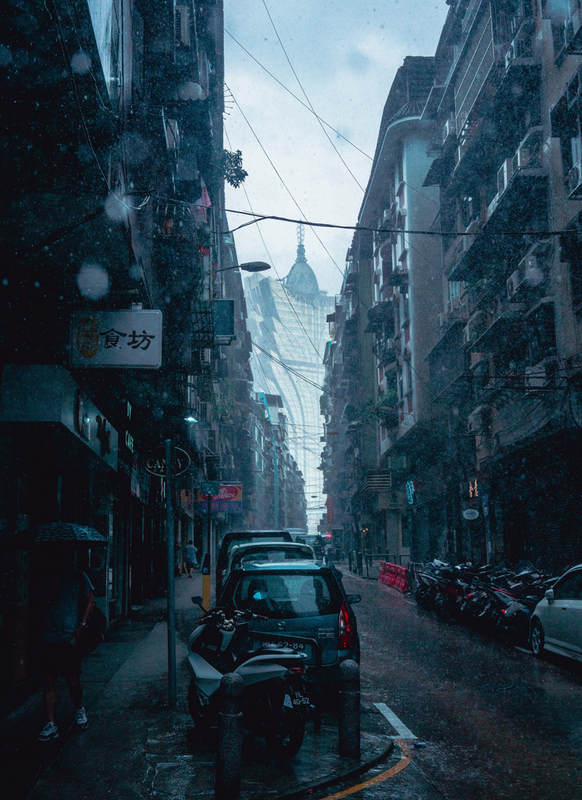 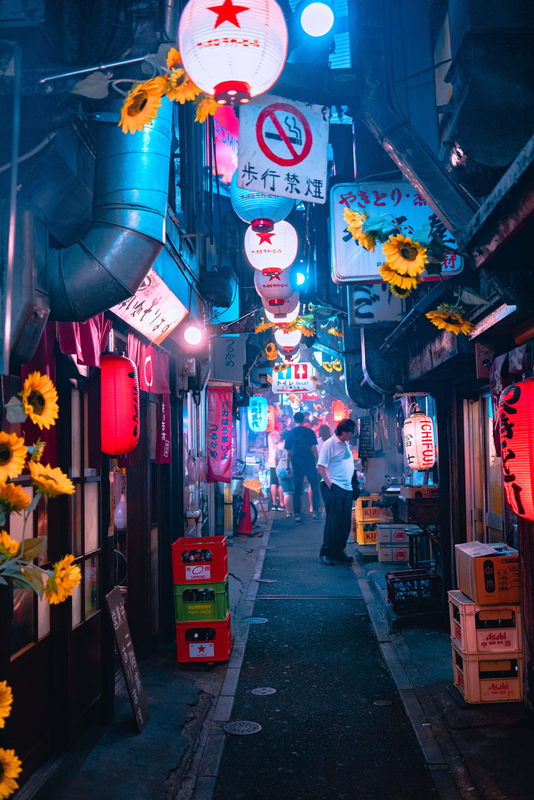 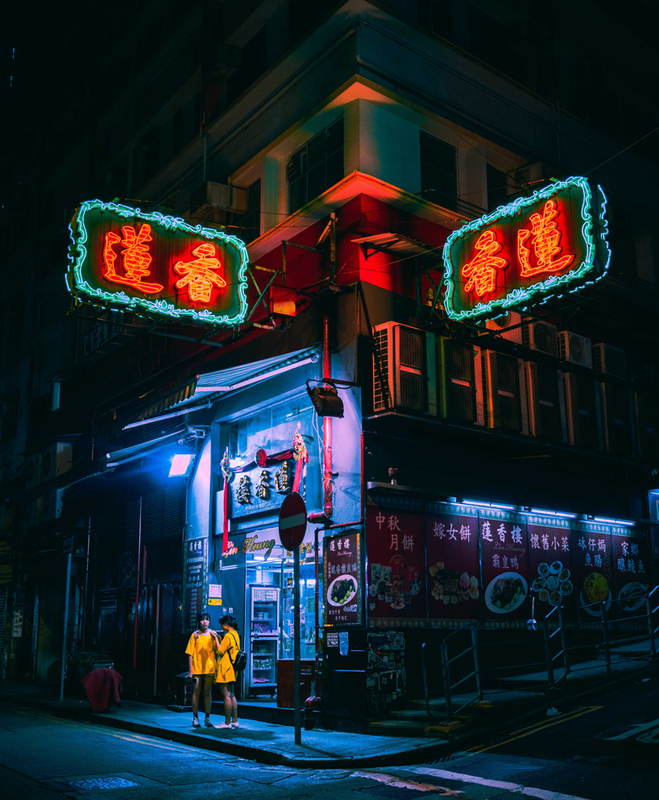 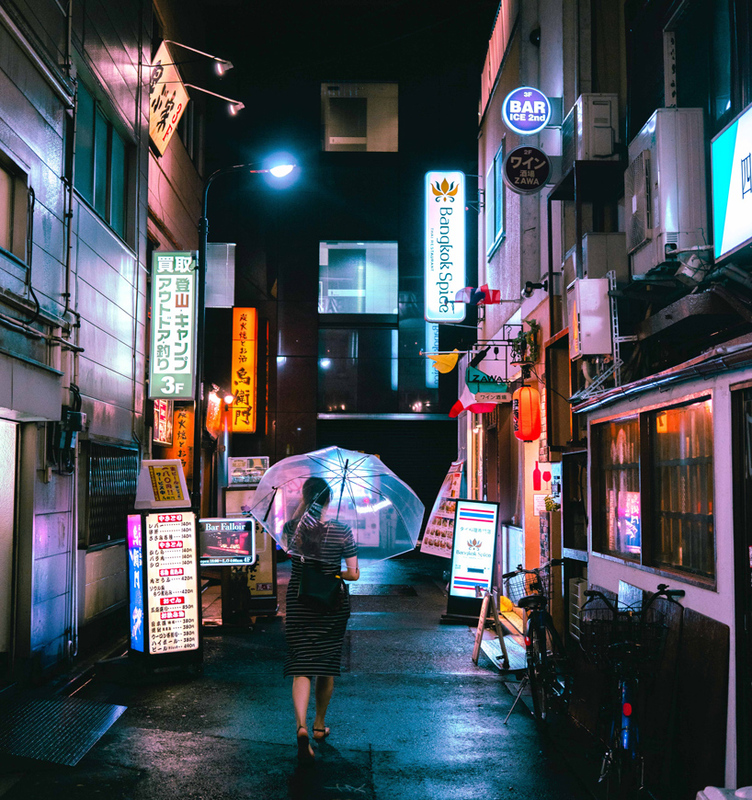 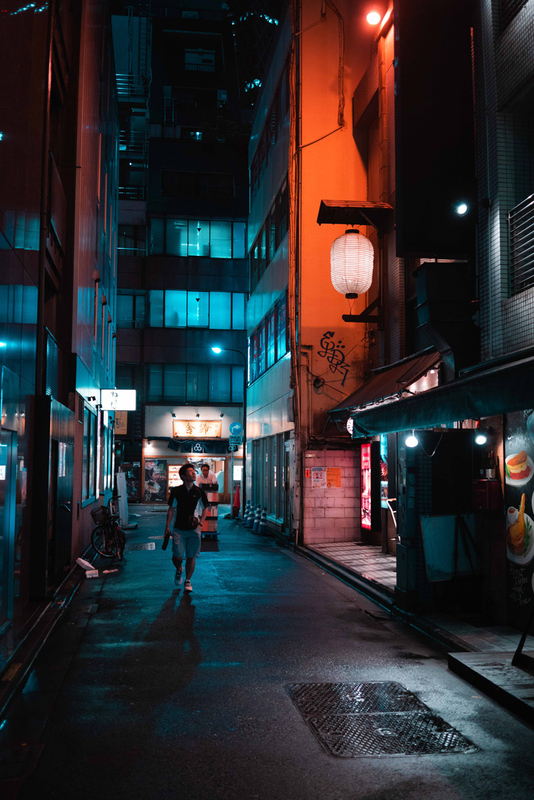 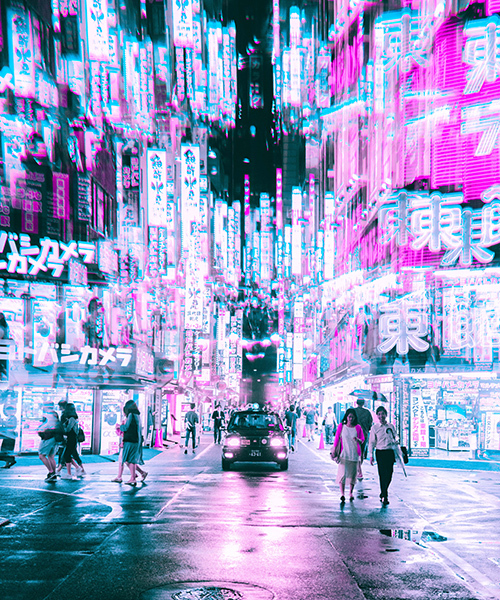 photographer steve roe currently lives in seoul, a city which has served as the main influence for his cyberpunk photography and vaporwave aesthetic. 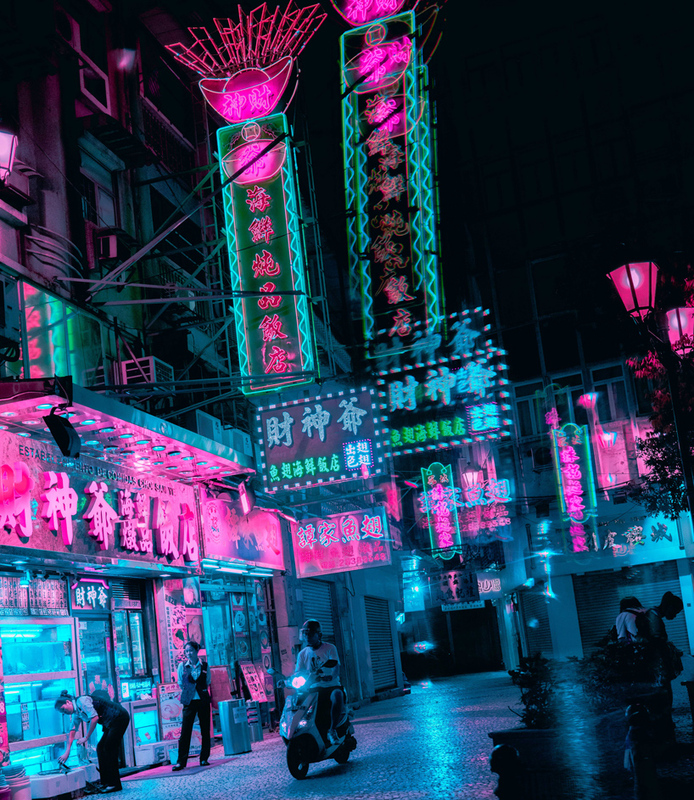 living in asia has inspired him to seek out the major cities across asia that best offer this dystopic neon aesthetic. 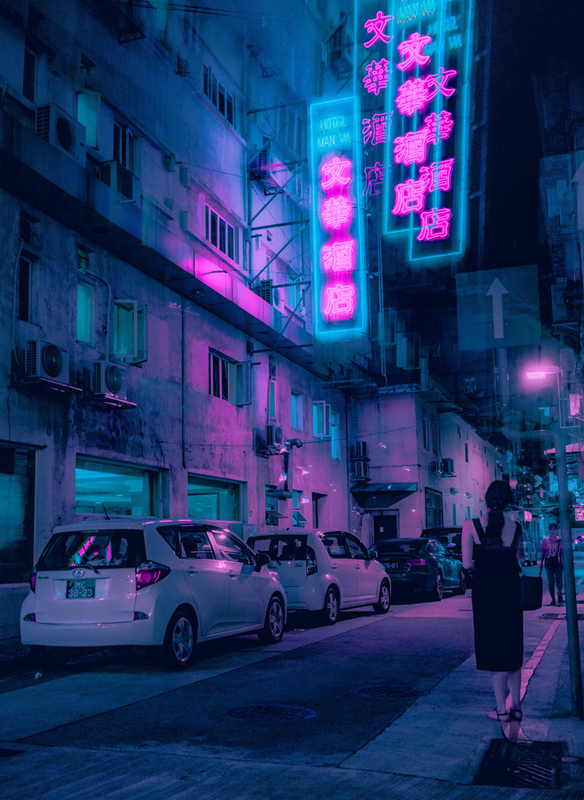 ultimately, the trip evolved to become a curated route of tokyo to hong kong to macau, back to hong kong and then the return to seoul. 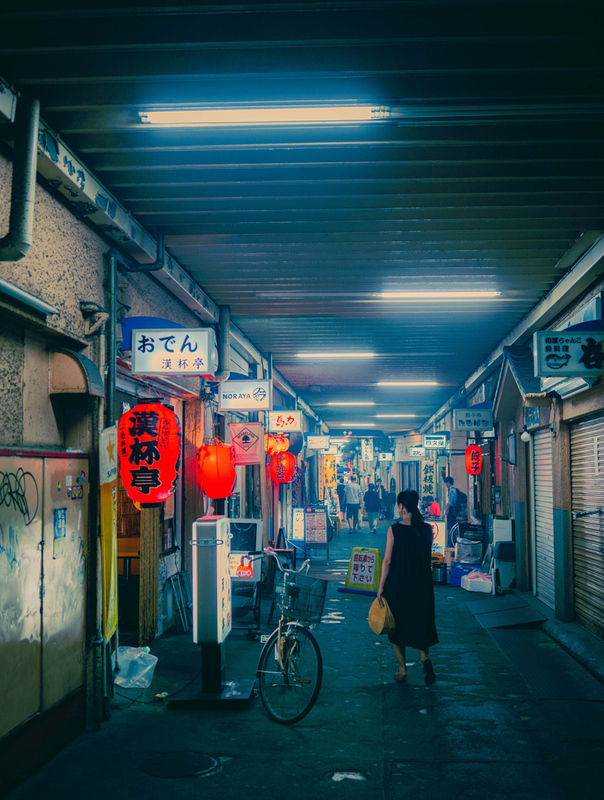 the trip influenced an aesthetic of neon lighting and alleyways, inspiring new ideas and themes into his work. 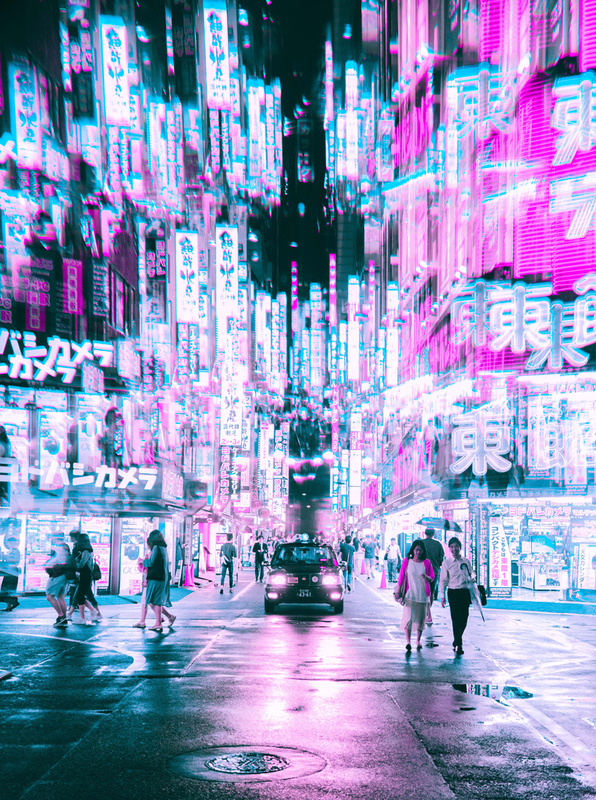 steve roe makes use of a fractal light prism which enables a kaleidoscopic effect, exaggerating the effect of a setting already saturated with neon signage. 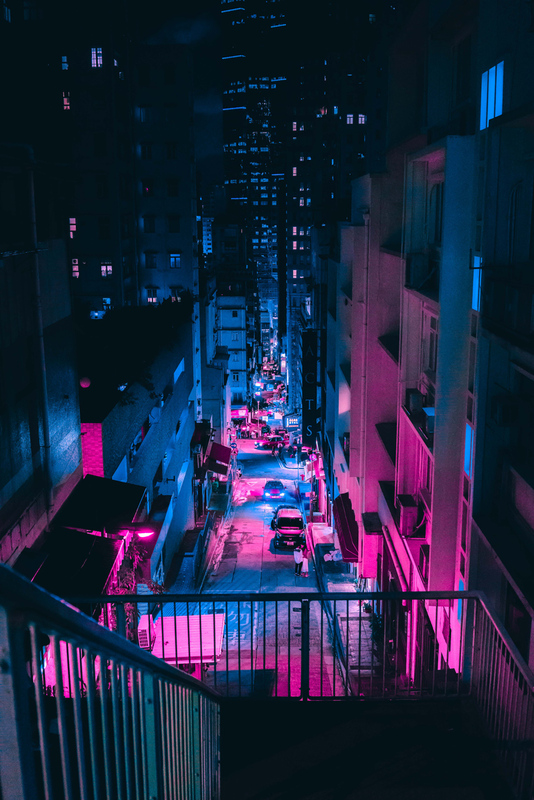 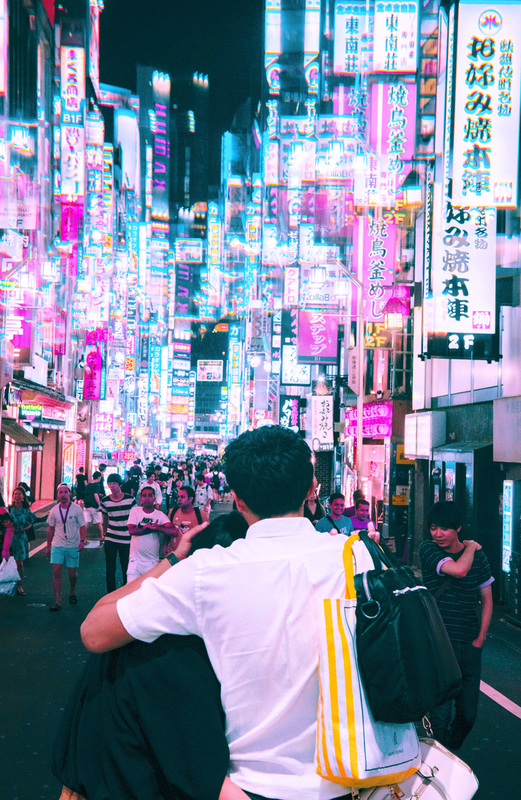 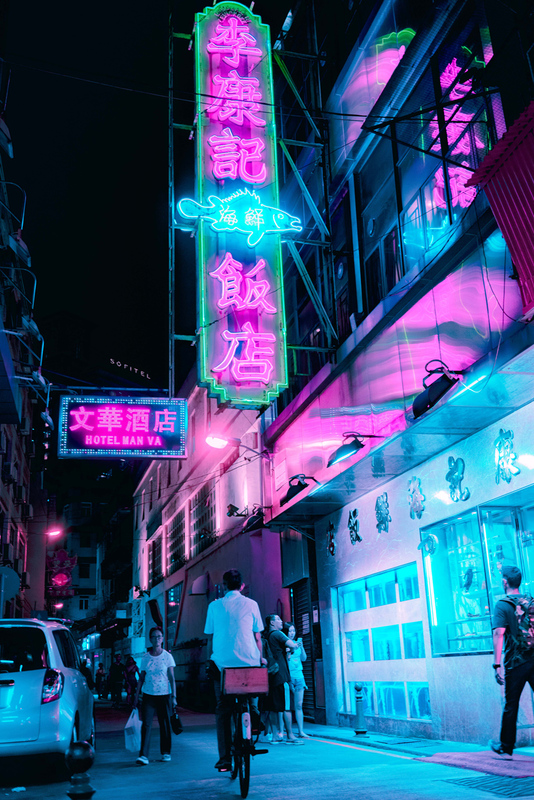 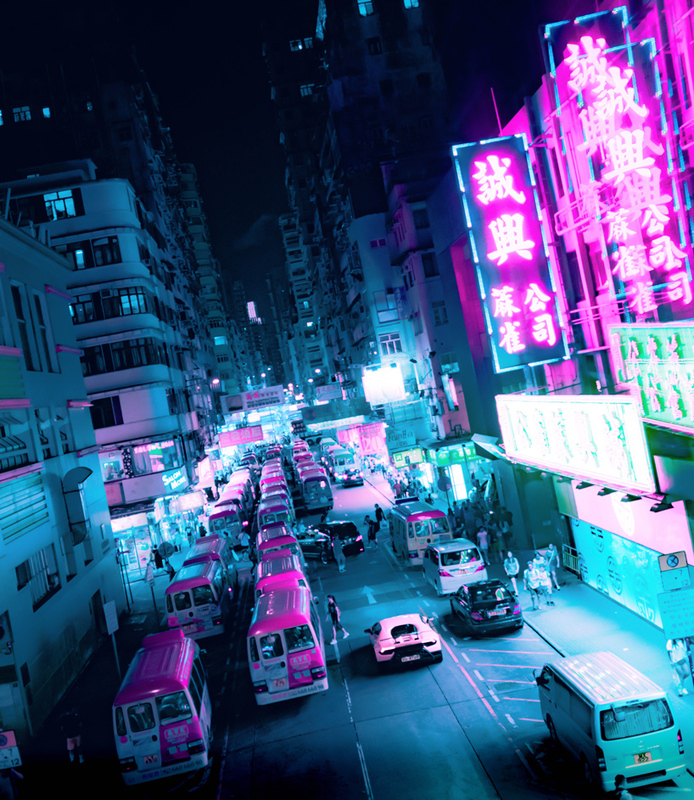 this offers the viewer a holographic neon illusion as seen in the TV series ‘altered carbon’ or the film ‘blade runner.’ the visual ties to the aesthetic of these dystopic worlds further transports contemporary urban streets and alleyways of tokyo, hong kong and macau into the future.